Congratulations to Ian Kenney who joins Jeff Geisinger, our Director of Sustainable Design, as a Certified Passive House Consultant! 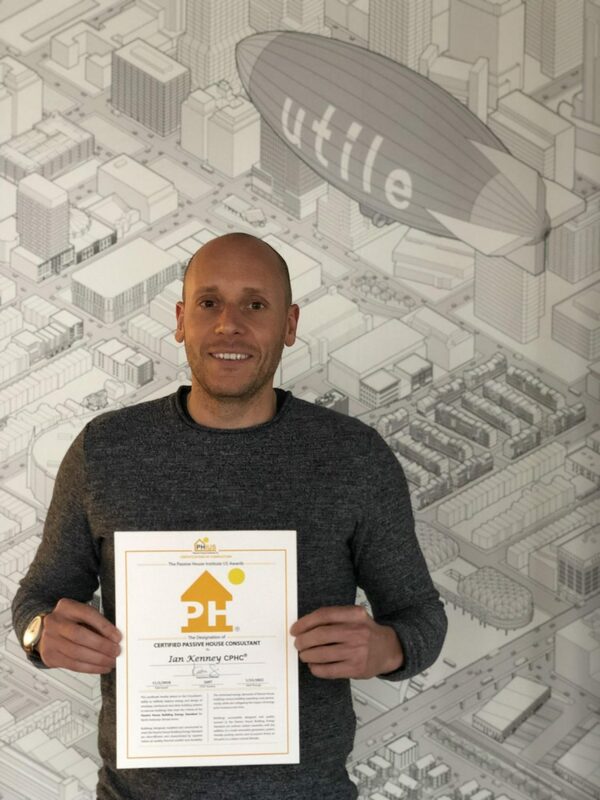 Ian recently completed the CPHC® training program offered through Passive House Institute US (PHIUS), whose mission is to promote the creation of structures that are “durable, resilient, comfortable, healthy, and super energy efficient”. We’re looking forward to incorporating Ian’s expertise into the design process to bring increased sustainability to our projects and achieve the goals set forth in the AIA 2030 Commitment.